This Amelie Scott design is an In-The-Hoop project. 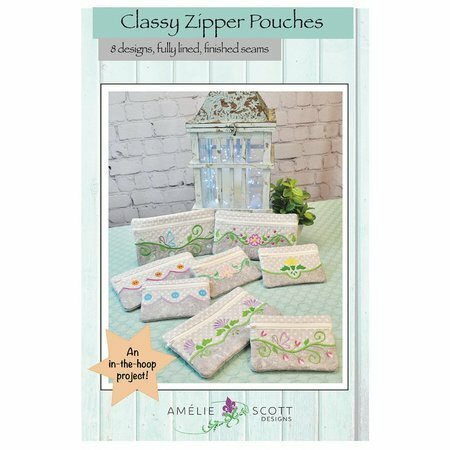 We will be making the large pouch with your choice of four different embroidery designs. The pouch is fully lined with finished seams. The large pouch measures 6.5" x 10".